During World War II, a prisoner-of-war internment camp was located directly north of here. The camp had its beginning in a request by the Holdredge New Industries Committee for a federal conscientious-objector camp to help relieve the severe war-time farm labor shortage. Instead, a prisoner-or-war camp was built. Planning for the camp began in June, 1943. By November, construction had been completed on approximately seventy buildings and seven miles of concrete road. Guard personnel were awaiting the arrival of prisoners. The camp contained three prison compounds, which held a total of 3,000 men. 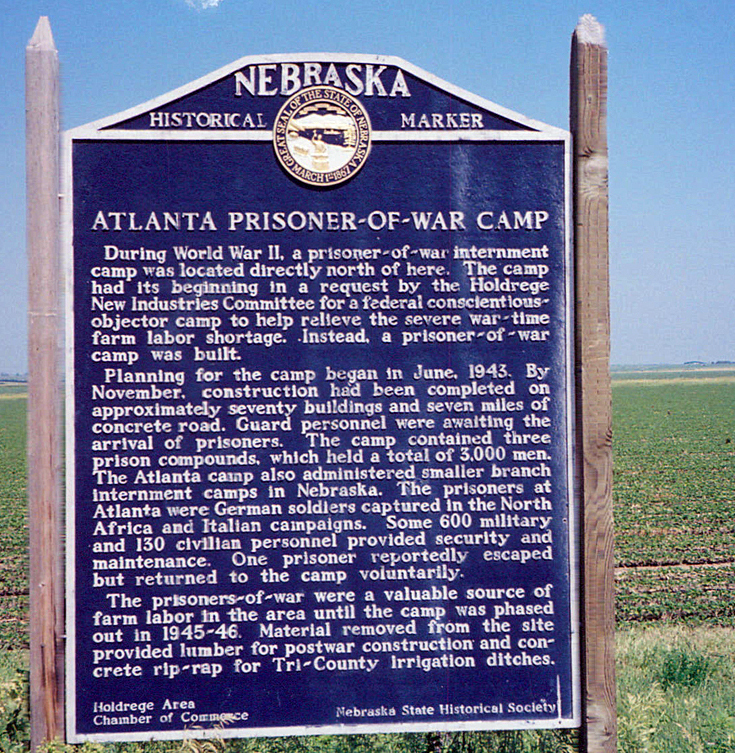 The Atlanta camp also administered smaller branch internment camps in Nebraska. The prisoners at Atlanta were German soldiers captured in the North Africa and Italian campaign. Some 600 military and 130 civilian personnel provided security and maintenance. One prisoner reportedly escaped but returned to the camp voluntarily. The prisoners-of-war were a valuable source of farm labor in the area until the camp was phased out in 1945-46. Material removed from the site provided lumber for postwar constructed and concrete rip-rap for Tri-County irrigation ditches. 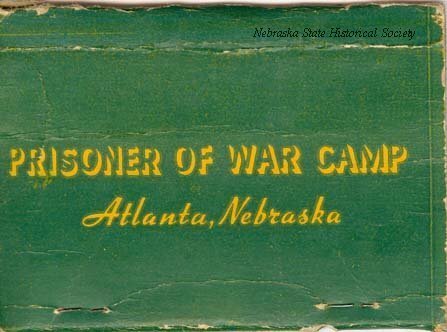 “Atlanta Prisoner-of-War Camp,” Explore Nebraska History, accessed April 19, 2019, https://mynehistory.com/items/show/402.